Mento Music: Can I Buy Mento Music? Can I Buy Mento Music? Pleas note that I do not sell music. But I have provided this page to help you locate every mento release that is currently available. 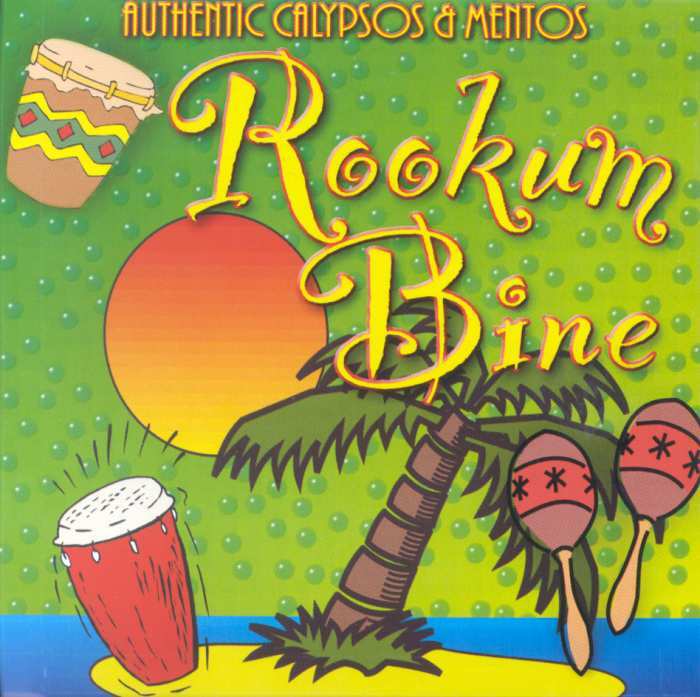 When I started this site in 2003, what little mento there was available on CD was difficult to find, as it was typically labeled as calypso, or, in one case, steel drum music. 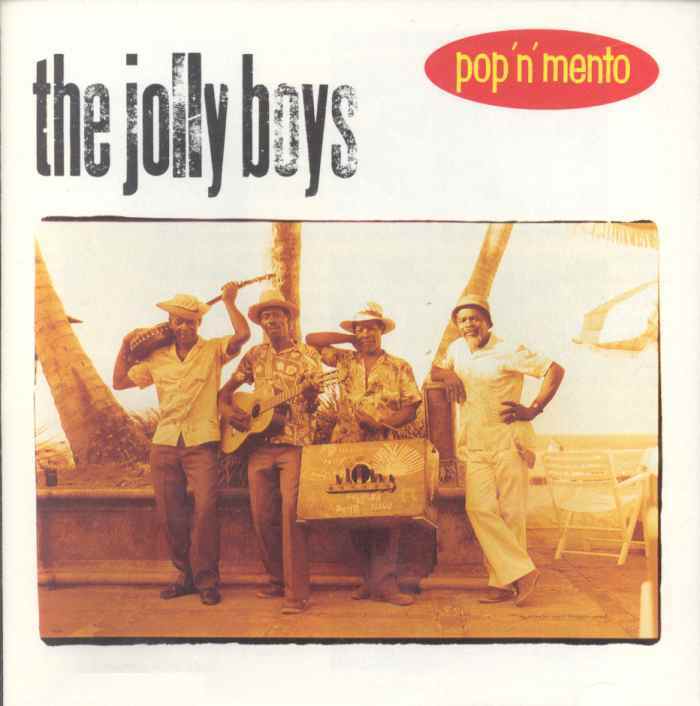 And although most mento records are out of print (some for longer than half a century) beginning in the 1990s, a fair sample of mento from all three eras began to appear on CD. All of these, along with some of the relatively easier to find out of print records are described below. And although taste is subjective, there are several selections that I have recommended for each of the three eras of mento. 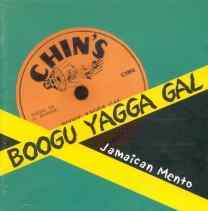 Between "Mento Madness", "Boogu Yagga Gal", "Take Me Back To Jamaica", and the five Chin's CDs, anyone interested in mento's golden age can easily get a impressive collection of 1950s mento tracks by a variety of artists. This was absolutely impossible just a few years ago. 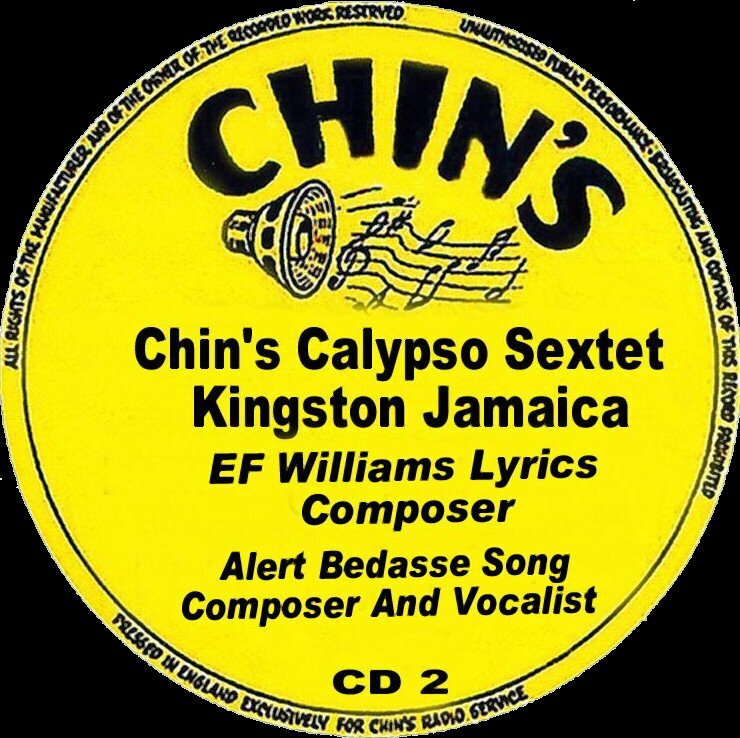 Please visit the Chin's Calypso Sextet page for details on these exciting recommended releases. Although they are no longer retailed, finding these CDs is still much easier than finding the 78s. This CD is recommended as an excellent way to hear golden age mento. Big serving of Chin's rural sounds and Count Lasher's urban (primarily) and rural sounds, both sides of a classic Lord Lebby single and one by Lord Power. For some interesting background on this release, visit Ron Geesin's web site at http://www.rongeesin.com/news1201.htm. Ron conceived the CD and worked on its remastering. This CD is also recommended for including very informative liner notes and lyrics, making it unique amongst other mento collections on CD. You can also visit Heritage's web site at http://www.interstate-music.co.uk/HTCD45.htm, though there isn't much in the way of additional information. 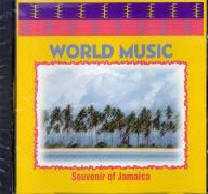 Anyone interested in Jamaican music should buy this CD. If it does well enough, there's a good chance that a second volume will be released. 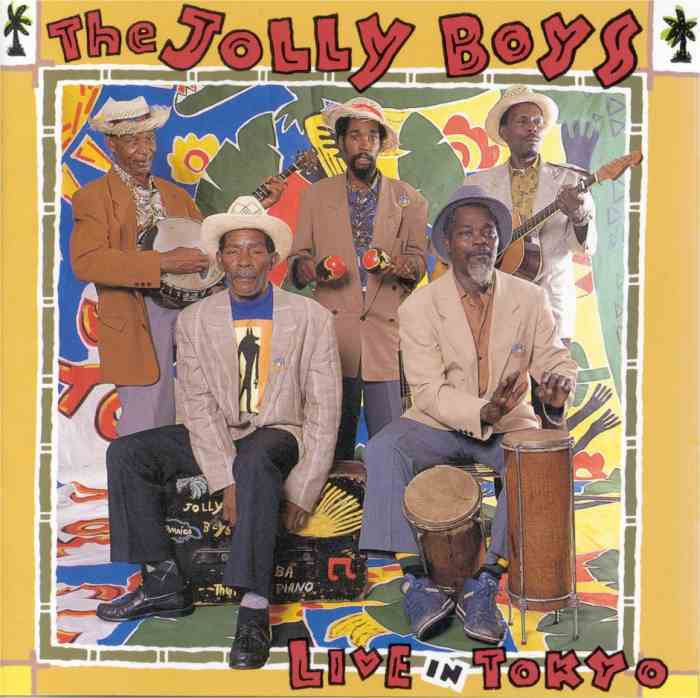 My hope is that the second volume has some examples of the amazing proto-reggae sound that some rural mento has. Some Lord Messam, Count Owen, Lord Tanamo and some more rural Count Lasher tracks certainly wouldn't hurt! Boogu Yagga Gal is widely available from on-line retailers. collections could not make that claim. This CD is recommended as an excellent way to hear golden age mento. Anyone interested in mento should immediately grab this release. It has only been out for a few weeks and I'm already hoping for a second (and a third) volume. On 4/19/04, National Public Radio reviewed this CD. The 4:24 Real Audio clip can be found on the following page: http://www.npr.org/features/feature.php?wfId=1842828. 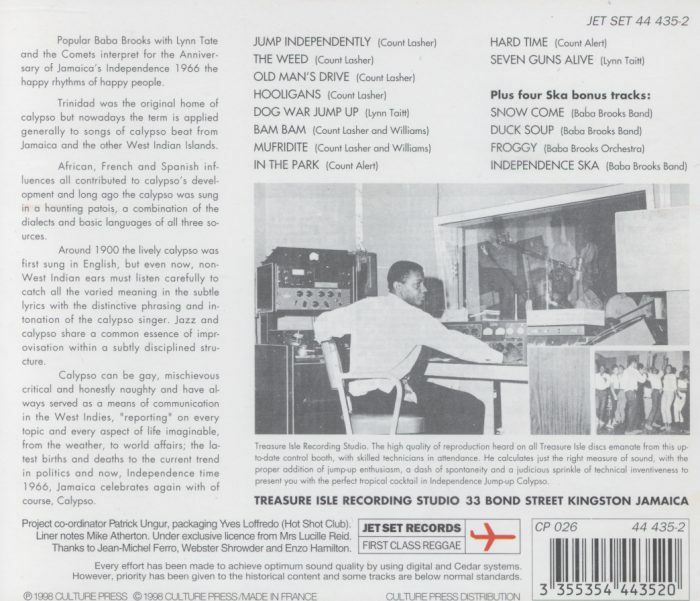 In June of 2006, the Pressure Sounds label released "Take Me To Jamaica (The Story of Jamaican Mento 1951 to 1958)". excerpts here and here. It also contains a nice collection of label scans and other photos. Thoughtfully compiled by Paul Coote, this collection features mento tracks recorded by three producers: Stanley Motta, Ivan Chin and Ken Khouri. Hubert Porter's Ten Penny Nail has appeared on several previous CDs, but "Names Of Funny Places", "Tracer Gal" and "Mas Charley Bell (Medley: Iron Bar/Mas Charley Bell)" have not. The eight Chin's tracks are all available on the five Chin's CDs that were released in 2004 and 2005. Having said that, these are well chosen tracks that do not appear on any of the other multi-artist compilations. 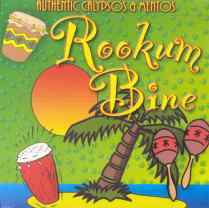 Ken Khouri's son (and producer in his own right) Paul Khouri released "Rookumbine: Authentic Calypsos and Mentos" on R&R Records. Paul is making this hard to find CD available to readers of this site at a special price of $10, shipping included. Outside of the US, shipping may be higher. 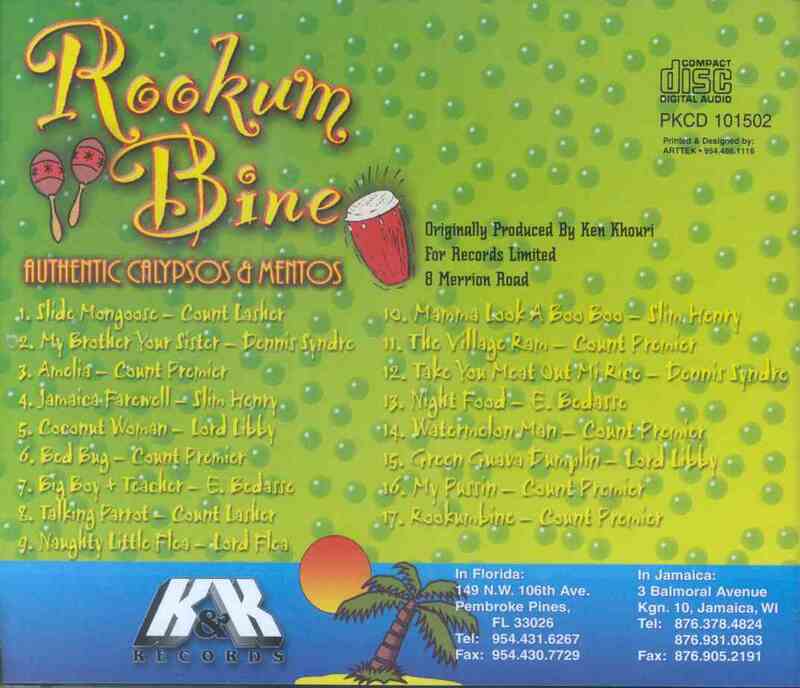 Paul / R&R records can be contacted at the address and phone number as seen on Rookumbine's back cover. "Slide Mongoose" and "Talking Parrot" by Count Lasher have already been released on "Boogu Yagga Gal". The two Chin's tracks, also appear on Boogu Yagga Gal, the Chin's CDs, and elsewhere. Two previously unheard rural mento racks by Slim Henry are heard. 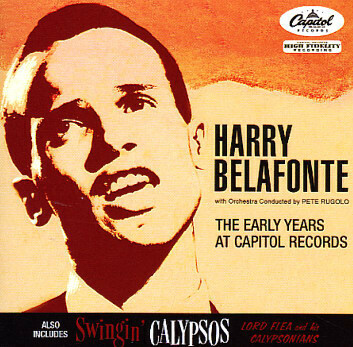 Both are Harry Belafonte covers. "Jamaica Farewell" plays it a bit too safe, though the addition of mandolin adds to the overall effect. "Mama Look A Boo Boo" pulses with personality and, for me, redeems a song I never previously cared for. It's the stand out track of the CD. Slim Henry, also recorded at least one middle period album, that reveals the surprising identify of his mandolin player . The Count Premier and Lord Libby [Lebby] tracks are mento songs performed with strong calypso leanings. I don't know if Lord Libby is the same artist as Lord Lebby, who recorded several classic singles for Ken Khouri'. 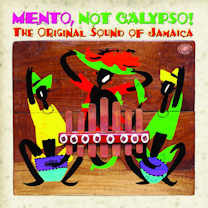 It is possible, but the calypso style here is different from the classic rural mento heard on the Lebby singles. 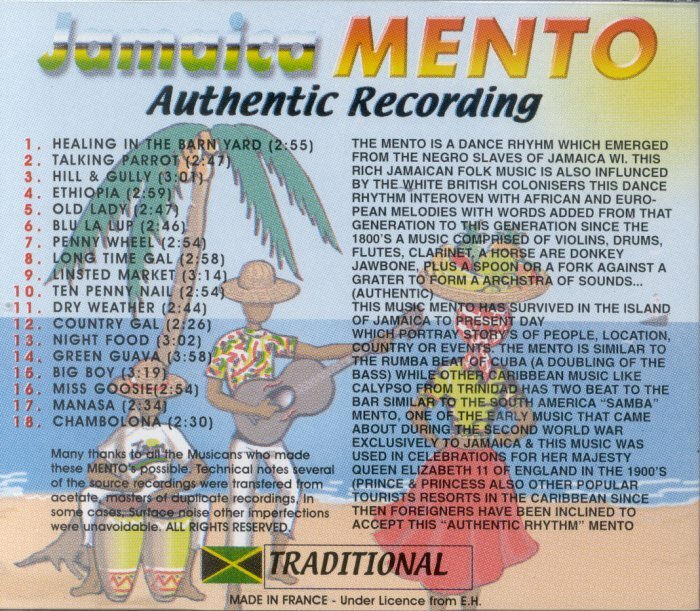 But the Lord Flea track suggests that Khouri sometimes had mento artists record a mento track in a calypso style. 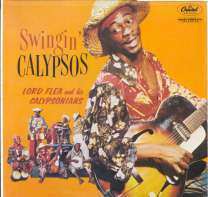 This earlier recording of "Naughty Little Flea" is very calypso influenced compared to the later mento version released on LP. It may in fact be from Ken Khouri's first recording session, as this it is remembered that Flea recorded a version of this song. 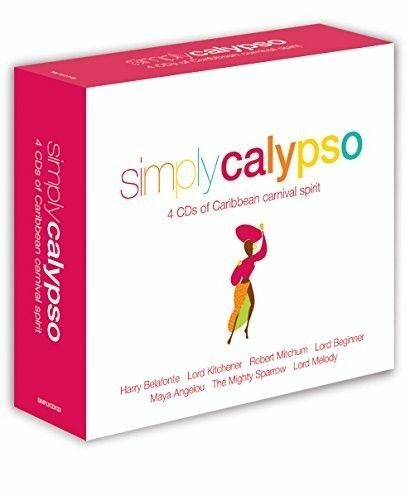 The Dennis Syndre songs are calypso. 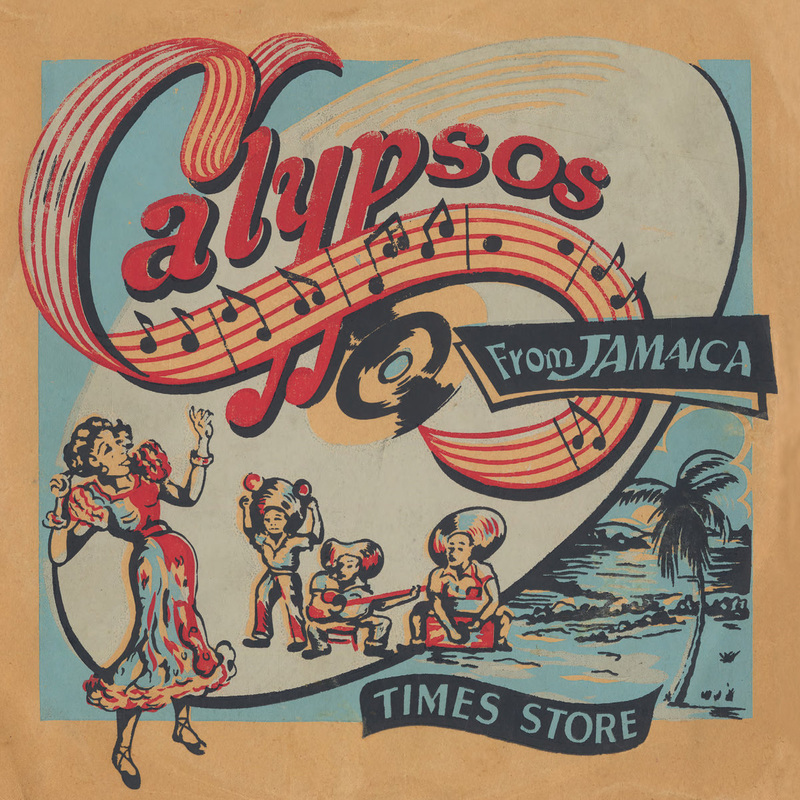 The strong calypso leanings of this CD are not indicative of the more Jamaican sounds of Khouri's 1950s productions for the Times Store's Times Records label, or the many extraordinary rural mento sides he recorded on his own Kalypso label. Thanks to Filthy Rich for alerting me to this release. 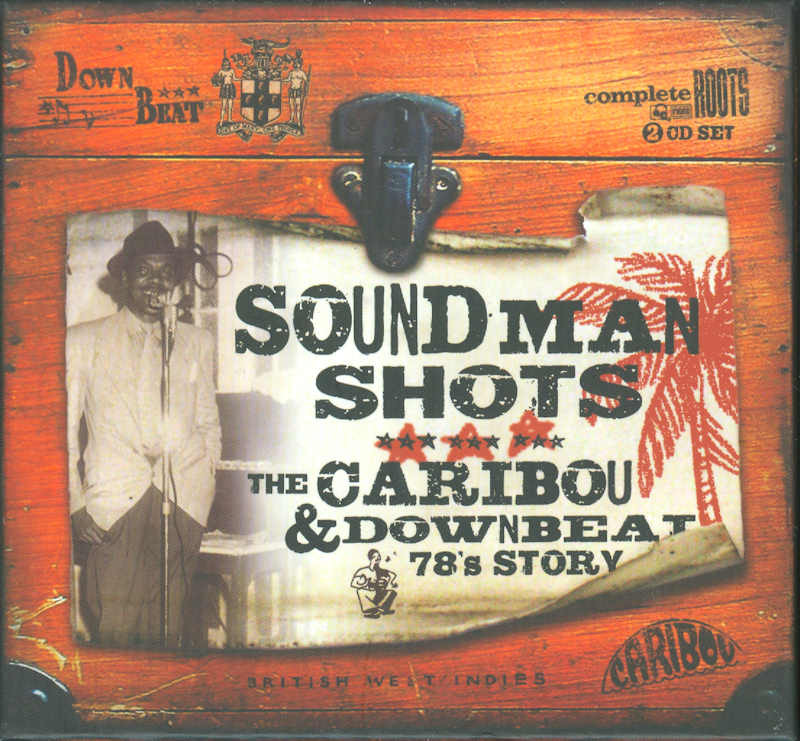 [Click here for back cover] In September of 2009, the Complete Roots label released "Sound Man Shots: The Caribou & Downbeat 78's Story" This double disc set (complete with good notes from the set's compiler, Jeremy Collingwood). The first disc compiles 19 golden age mento sides released by the Caribou label's producer, Dada Tuari in the 1950s. 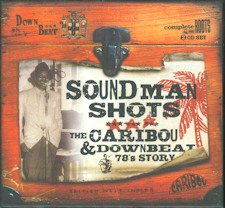 The second disc collects R&B sides that Tuari licensed for released in Jamaica on his Downbeat label that same decade. In spite of some repetition with other compilations, there's enough new-to-CD mento here to recommend this set. "Boogu Yagga Gal" already dipped heavily into Count Lasher's Caribou material, as did other CDs collections, but Perseverance is not available on Boogu or elsewhere. 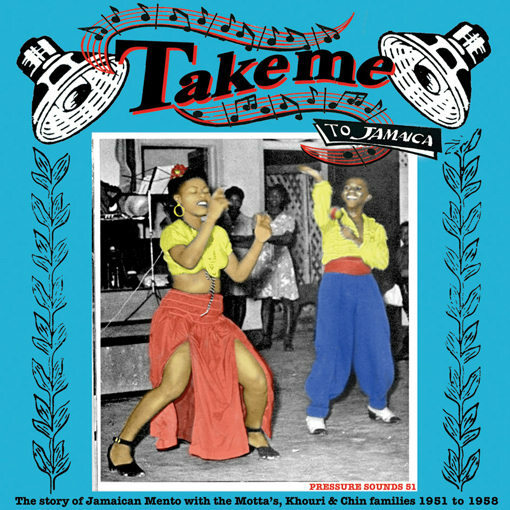 None of these six Lord Tanamo rural mento songs have ever been collected on CD making this collection important for mento fans and Lord Tanamo fans. Happily, "Little Fist" finally gets a CD airing. Count Sticky makes his belated CD début here, with his atypical but fun "Chico Chico". 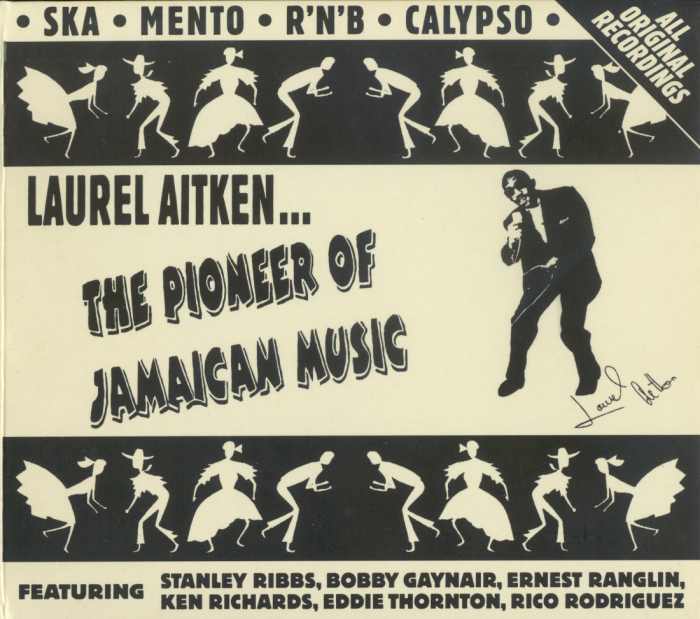 Five Laurel Aitken tracks (more R&B than mento) round out the set, with a bit of duplication from "Laurel Aitken... The Pioneer of Jamaican Music". In April of 2006, the Trojan label's massive reissue campaign that began some years earlier finally turns its attention to mento. 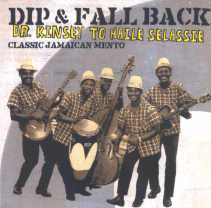 The result is a 2 CD collection called "Dip and Fall Back! 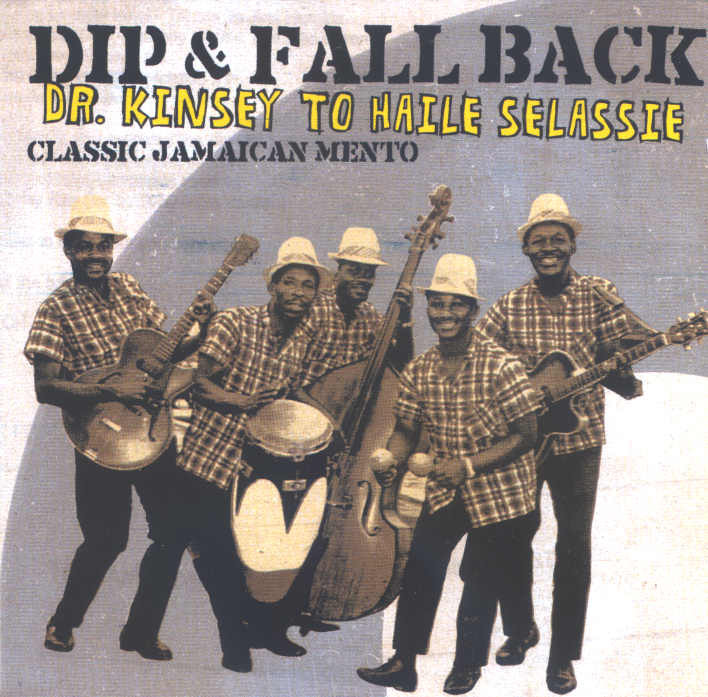 : Dr. Kinsey To Haile Selassie - Classic Jamaican Mento". The first disc covers mento's golden age, while the second covers the middle period. Liner notes with label and jacket scans are included. 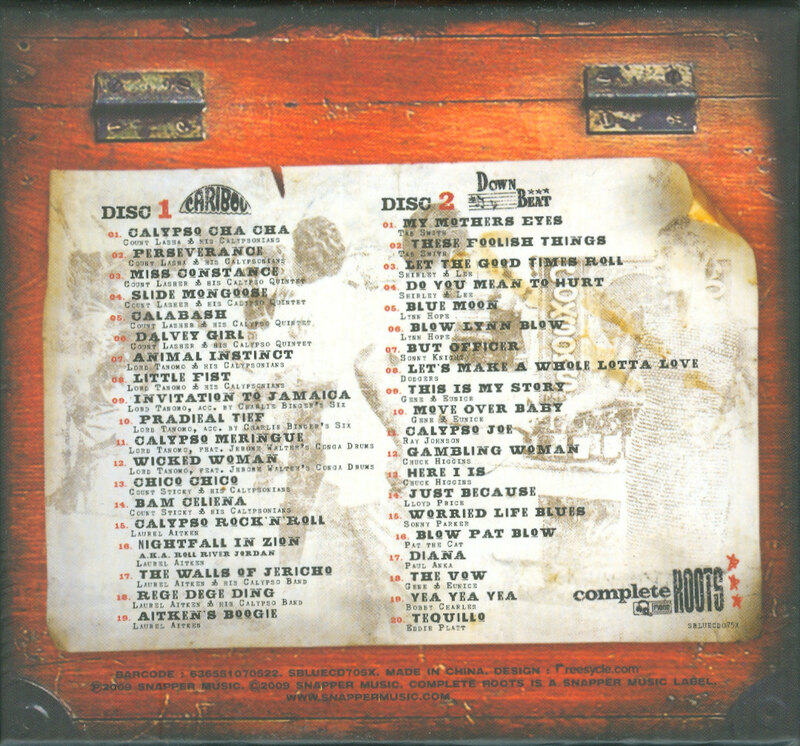 Disc 1 features a number of golden age sides making their CD debut. Unfortunately, it also includes a number of tracks that have been compiled on other CDs. All future CD compilers are advised to stay away from tracks on "Boogu Yagga Gal". Boogu's inclusion of lyrics and excellent liner notes make this CD a cornerstone in any mento fan's collection. There are still a great many sides still awaiting release on CD! Starting with the four Lord Lebby tracks, "Dr Kinsey Report" and "Ethiopia" are already available on "Boogu Yagga Gal" and elsewhere, but "Sweet Jamaica" (especially) and "Mama No Want No Rice" are very welcome additions to any golden age mento fan's CD collection. A similar situation for the four Lord Power songs, "Penny Reel" and "Chambolia" are available on the "Jamaica Mento - Authentic Recording" CD collection, but "Strip Tease" and "Let’s Do It" have never been compiled on CD. The two Clyde Hoyte songs "Old Firestick" and "Charlie’s Song" (a.k.a. "Sweetie Charlie") are to be applauded, as no songs from this fine mento artist have previously surfaced on CD, or anywhere else other than 1950s 78 RPM singles. Likewise Marie Bryant makes an overdue CD debut with "Tomato" and "Little Boy". It's hard to imagine a mento compilation without Count Lasher, but easy to imagine better choices than "Talking Parrot" and "Cinemascope". Both appeared on "Boogu Yagga Gal" and the former appears on two other CDs described on this page. Meanwhile, more than a few superior Lasher songs remain unreleased on CD. The same can be said about the first of two Lord Tickler tracks. "Limbo" is available on both cheapie Valmark CDs. "Medley" (consisting of "Sweetie Charlie, Mango Walk, Mr. Parney") makes its CD debut. But again, still unreleased are much better recordings by this important artist, who is more commonly known as Harold Richardson. 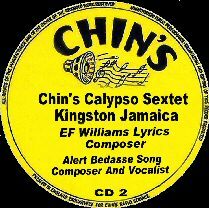 With the recent reissue campaign by Ivan Chin, there is very little yet to be released by Chin's Calypso Sextet. 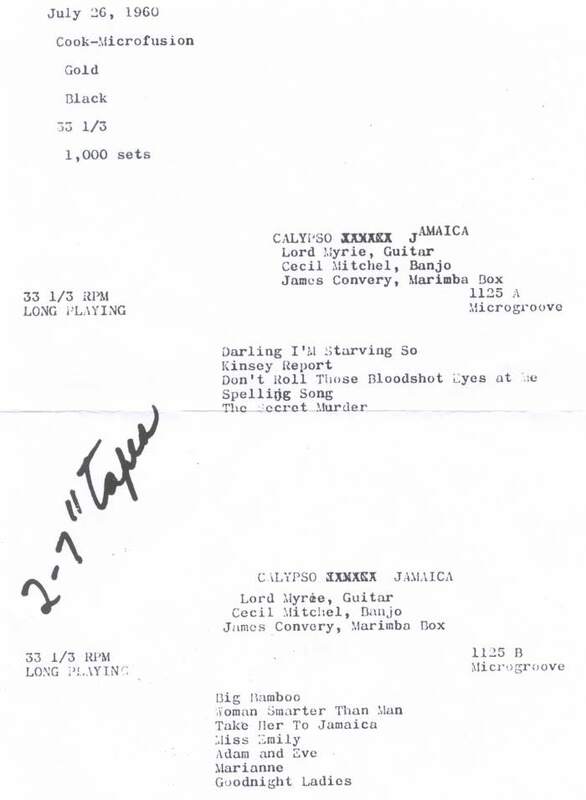 But a more illuminating Chin's recording could have been chosen than "Night Food" (available on Boogu Yagga Gal and three other CDs) and "Walk and Talk" (available on "Boogu Yagga Gal"). Disc 2 features mento singles and LP tracks from about the time of the 1960s. The scope is broad, and not every track is actually mento. 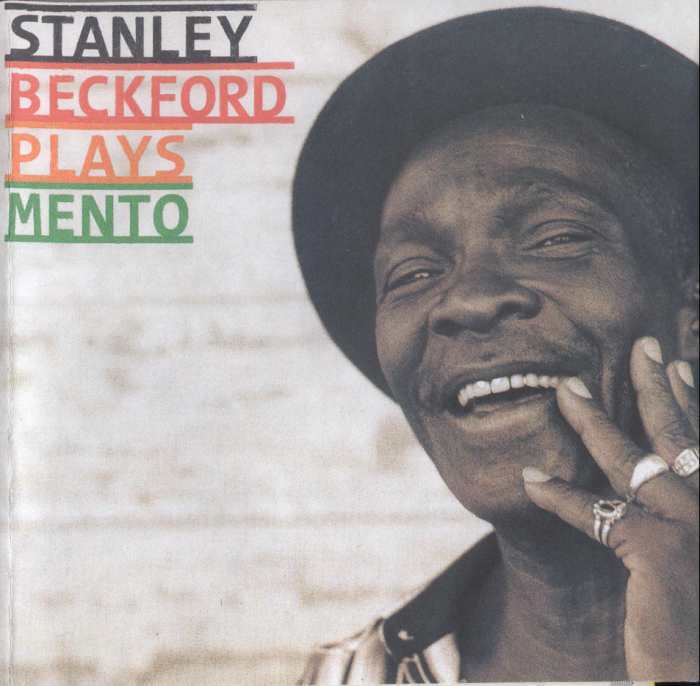 The opening track, a fine performance of the Jamaican folk song "John Tom" is sung by a name more associated with rock steady than mento -- Derrick Harriot. As backed by The Audley Williams Combo, it's performed in the percussion and flute heavy style. This collection has a second track by this act, "Hard Times" (a.k.a. "What A Hard Time") performed in a similar style with a dash of cha cha. 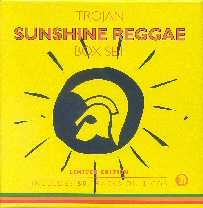 Next is both sides of a popular single originally released on the Kalypso label featuring two originals by Lord Laro. The sound feature percussion, electric guitar and bass. These tracks, like some from this era, seem to stray from urban mento to something less distinct, but undoubtedly Caribbean. The same can be said of the two tracks by Lord Christo. In this same style, "Haile Selassie" by King Bravo, may be the first Rastafarian song that is arguably mento. "Shame and Scandal" by the same artist is ska rather than mento. 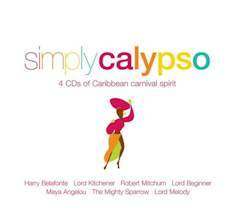 The Lord Bryner track is clearly calypso rather than mento. The same is true of the Lord Creator's "Limbo". "Scandal" by Louise Bennett's (mistakenly listed as Lord Bennett) is not mento, but a spoken piece from the "Miss Lou's Views" LP. 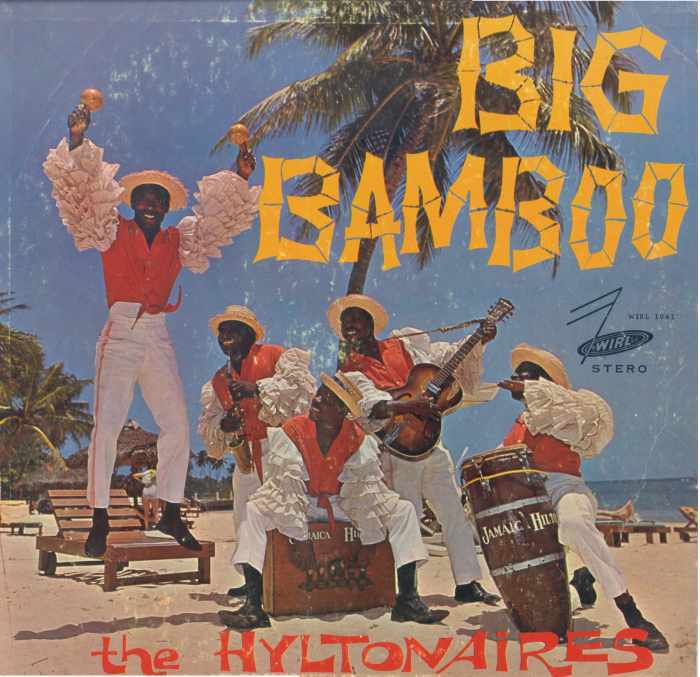 "Big Bamboo" and "Zombie Jamboree" by Lord Jellicoe are urban style versions of these often recorded songs, both of which were first recorded in Trinidad, but became part of the mento repertoire nonetheless. The arrangement features prominent and well played electric guitar. The same is true of the Count Owen tracks, "Hooliganism" from his "Count Down" LP and "Under the Mango Tree" from his "Rock Steady" LP. Another urban track is Mapletoft Poulle's "Dip and Fall Back" from his LP, "Mento". The classic rural sound make its disc 2 début with The Hiltonaires "Island In The Sun". Their "Chinese Baby" also appears on this disc. 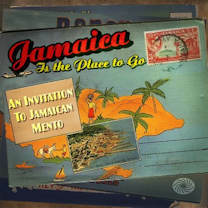 "Jamaica Farewell" by Jamaican Duke and the Mento Swingers is also in the rural style, though with electric guitar. It comes from his LP, "Yellow Bird". In early 2010, the French label Fremeaux released "Jamaica-Mento 1951-1958". This double CD is a mix of already available tracks and some that can only be found here, including three important ones as indicated below. The CD has more urban sounds than most collections. It includes shabby liner notes in French and a reduced version in English that takes information and pictures taken from this site even though I expressly declined to be involved with this project. 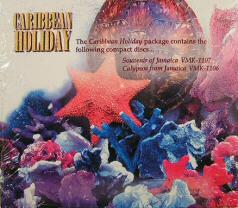 Next comes two budget CDs, Souvenir Of Jamaica and Calypsos from Jamaica, released simultaneously on Valmark in 1998. If you saw these in a budget bin, you could have easily passed them by, with their cheap packaging that lacks any information other than the song titles. But they collect a variety of genuine 1950s mento with good sound quality, are carried by on-line retailers such as Amazon -- and are dirt cheap, to boot! Thanks to Paul Coote, Daniel Neely and others who provided the artists for some of the songs. 10. Solas Market/Water Come from Me Eye - ? This collection is weighted to the dance-band style, as you would expect from all the Hubert Porter tracks. At least some of these are good remakes of the originals. It does include the classic rural Lord Lebby track, "Dr. Kinsey", but the version of his "Mama Don't Want No Peas" is an OK remake of his superior original version. 6. Jamaican Mambo - ? 7. Mambo from the W. I. - ? 12. Ding Dang Walla - ? Perhaps the more balanced of the two Valmark releases. Two good Count Owen tracks and some classics by Chin's. Jamaican Mambo is not mento (neither is "Mambo from the W.I. "), but the lyrics do mention mento. Love (And Love Alone) is a great rural track, worth the price of admission, though no one seems to know who the performer is! 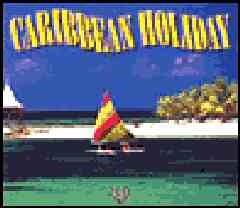 The songs on the two Valmark CDs are collected on a budget two CD package, called "Caribbean Holiday", (on the Allegro label, 1999, left, and on the Columbia River Entertainment label, 2000, right). Actually, all the tracks could have fit on one CD. It can be harder to find, and offers nothing that the individual Valmark CDs do not have. 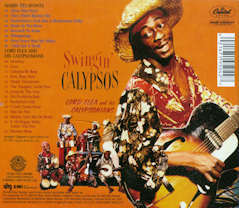 "Voyager Calypso Passion", a 2001 release on the Columbia River Entertainment label has the same tracks as the Valmark release, "Calypsos From Jamaica". Not surprisingly, this budget release does not provide the artists' names either. See also the More Middle Period Album Scans page to see the LPs that collected this material before it was released on CD. 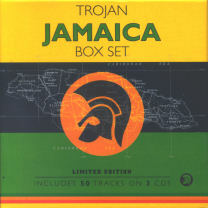 This CD (as well as others on the page) can be purchased at www.reggaeCD.com. 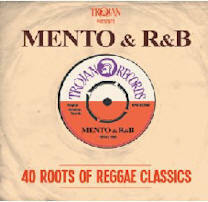 Trojan Record's simply titled "Mento & R&B" is a 2011 double CD that may be of more interest to fans of the latter than the former. Most of is R&B, and most of its better mento tracks are available elsewhere. 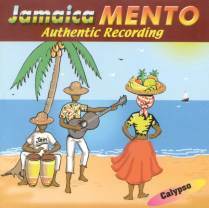 In the middle of 2013, a double CD collection of golden age tracks called "Mento, Not Calypso" was released on the Fantastic Voyage label. In addition to some oft collected songs, it has a good portion of tracks making their CD début including some significant tracks (highlighted in green below), making this collection quite necessary to own. 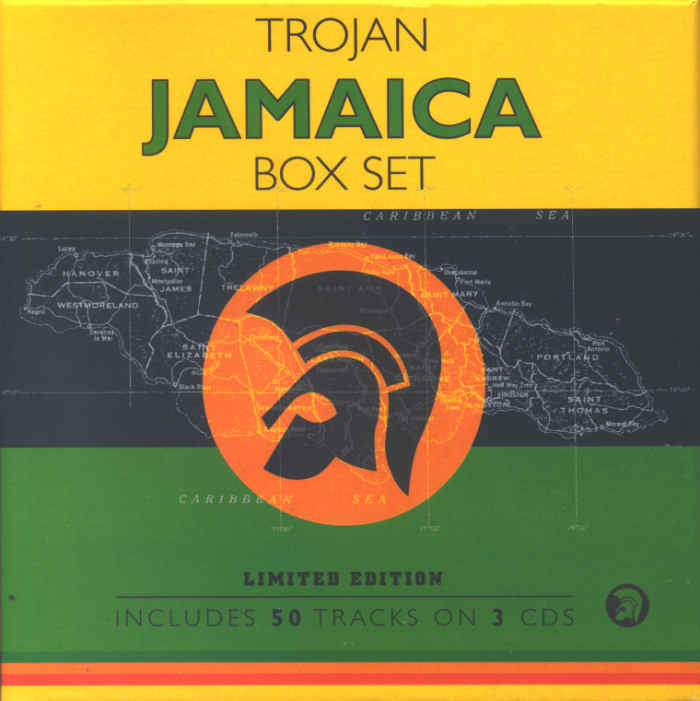 Released in 2015 on the Fantastic Voyage label is double CD collection called "Jamaica Is The Place To Go", There's a few tracks that have never been on LP or CD (perhaps must significantly "Bed Bug" by Count Zebra), but most of the key tracks are already available on the CDs above. 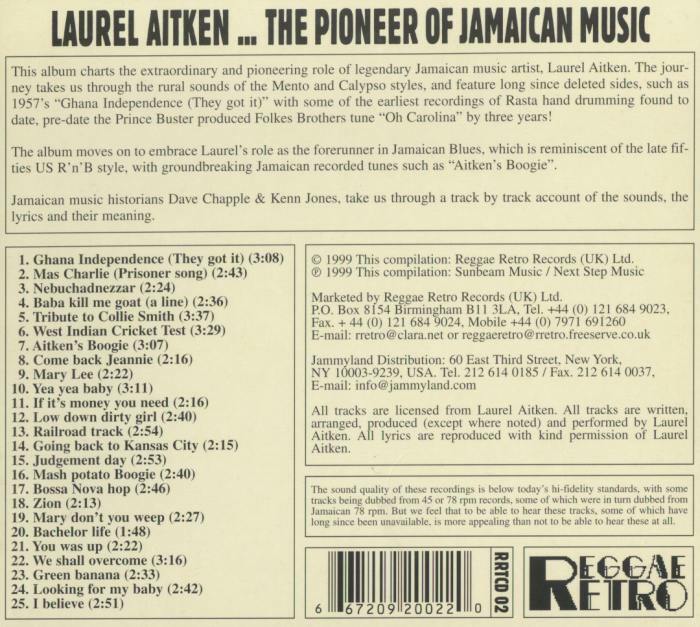 In 1999, the Reggae Retro label released "Laurel Aitken... The Pioneer of Jamaican Music". It can be a bit tricky to find for such a recent release. The first 5 of 25 tracks are calypso-influenced mento recorded from 1957 to 1959, often in Aitken's rough and unique style. 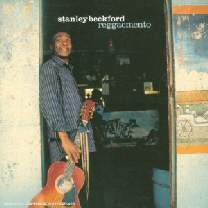 The last two tracks have Jamaican great Ernest Ranglin on electric guitar. The rest of the tracks are calypso, R&B and ska. Informative liner notes and lyrics are included. 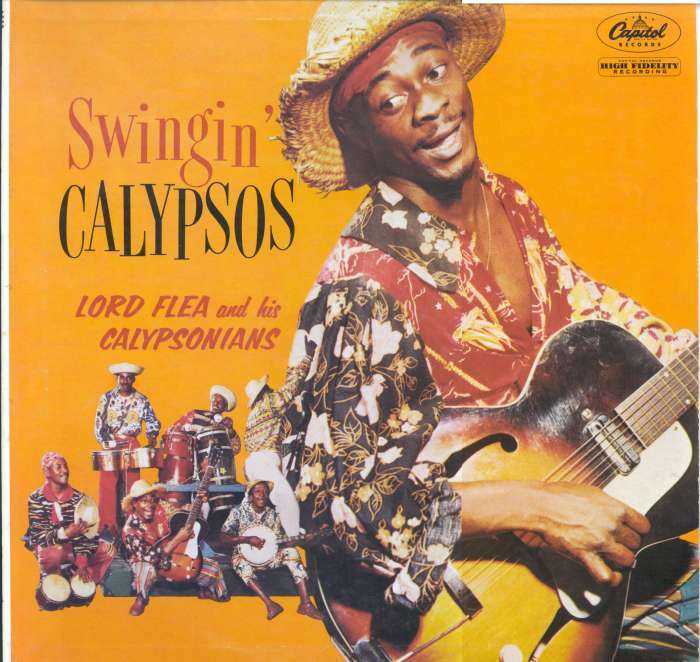 "Swingin' Calypsos", by Lord Flea and His Calypsonians released on Capitol Records in 1957. This is a strong LP with a lot of great songs, vocals and playing. It's worth seeking out at your favorite used-record store, on-line dealer or eBay, where it can be obtained inexpensively. (Since this was released on Capitol, there are many copies floating around.) See the Lord Flea page for more information and song clips from this LP. Hold everything! Don't hit the used record stores yet. 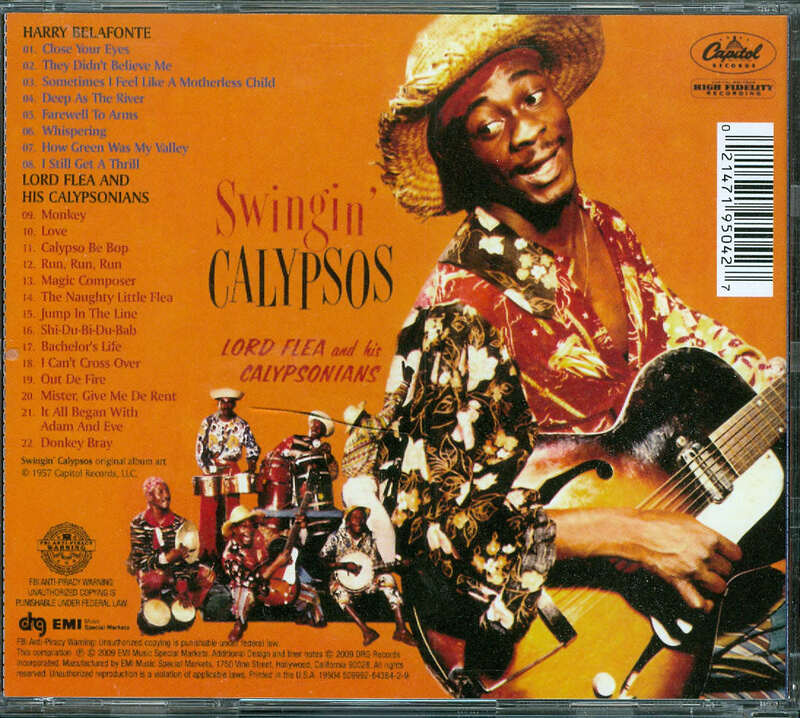 In April of 2009, Capitol finally released Lord Flea's "Swingin' Calypsos" on CD, though you wouldn't know it at first glance. For more information, visit the Lord Flea page here. [Click here for liner notes] More hidden mento. 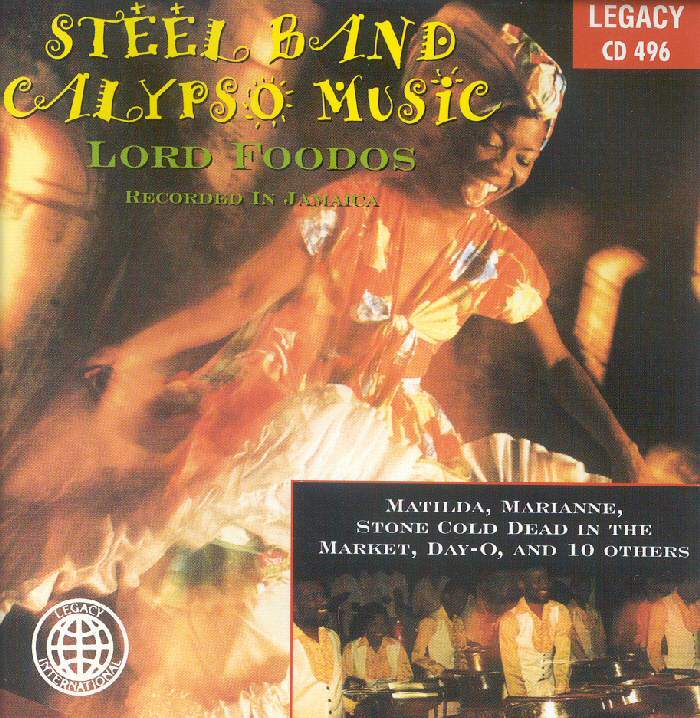 Released in 2001 on the Legacy International label, "Steel Drum and Calypso Music" is neither. 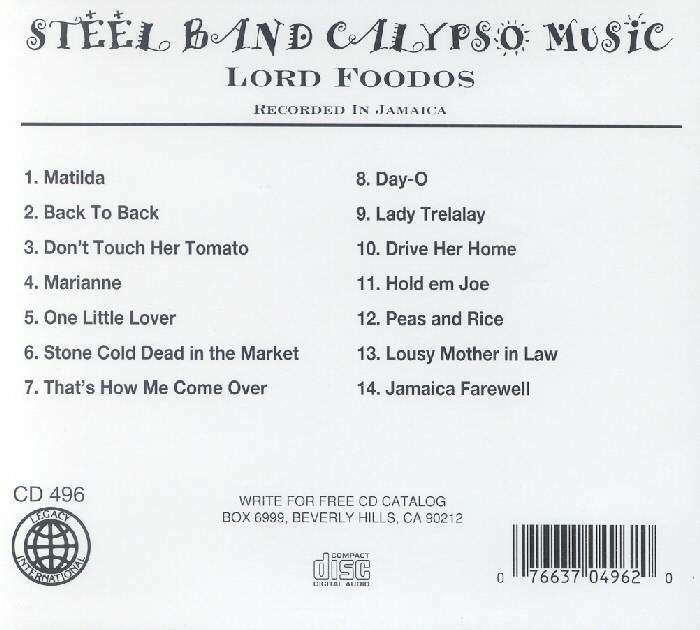 Instead, it's a CD release of the Lord Foodoos mento LP, Calypso!". 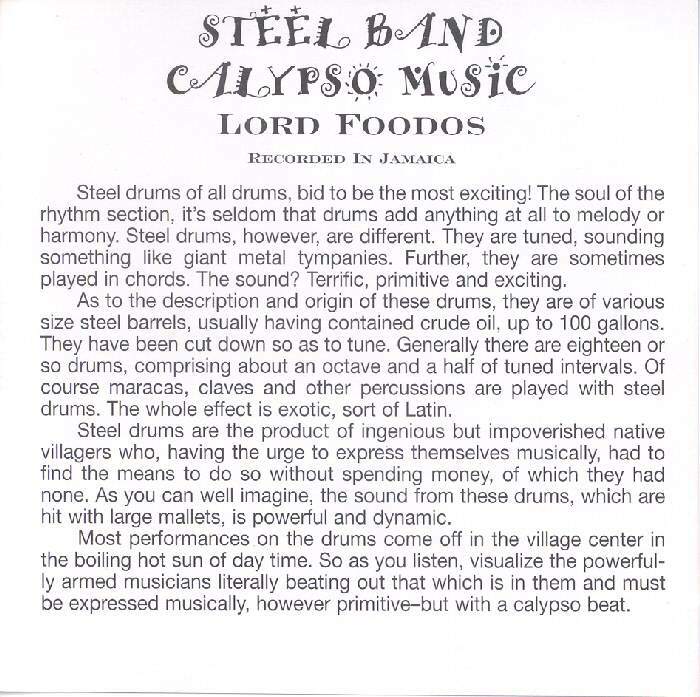 The cover features - and liner notes describe - steel drums, which are not present anywhere in the music. And the artist's name is misspelled, omitting the final "o". But do grab this budget priced CD (Amazon and others carry it) and you can hear an OK rural mento set with more of a 1960's middle-period sound, even though it was recorded in 1957. 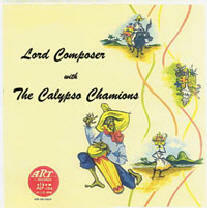 The Lord Foodoos LP, "Calypso!" is pictured and discussed on the More Golden Age Album Scans page. Half of these tracks were originally released on a 10" LP from a US record company in Florida as seen here. 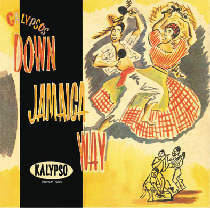 In the summer of 2005, the Dub Store Japan label, has released Count Owen's middle period LP, "Calypsos Down Jamaica Way" on CD. It's available from Ernie B's (http://www.ebreggae.com/) and from other retailers that specialize in Japanese imports. Londoners can also pick up a copy at Honest Jons Records on Portobello Road. For more on this release click this link. Readily available from their web site is a Smithsonian-Folkways CD of the 1960 LP, "Calypso Jamaica". Only 1000 copies were originally released on the Cook-Microfusion label. But in 1990, Emory Cook and his family donated all of his recordings to Smithsonian-Folkways. Don't let the folded sheet of paper that serves as a jacket fool you. The sound is excellent and the performance is very strong. The unnamed group consists of Lord Myrie on guitar and vocals, Cecil Mitchell on banjo, and James Convery on marimba box. This July 26, 1960 session foreshadows the sound of the mento resurgence and that of today's hotel bands. 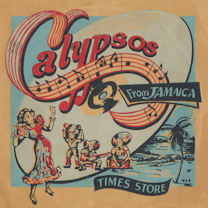 The songs are comprised of middle period staples, less commonly covered golden age songs, what are most probably Trinidadian calypsos, and one "old standard". 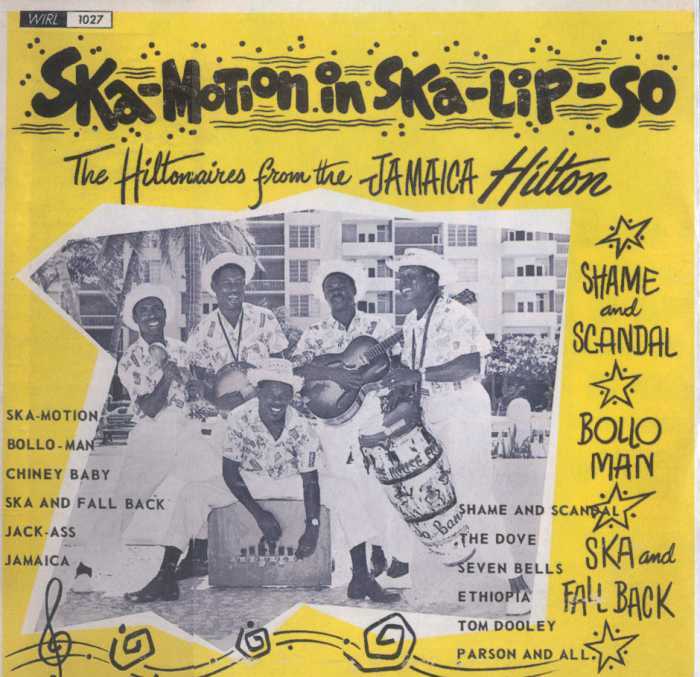 And it may have been recorded in 1960, but some tracks sure sound like (not ska, but) reggae! Thanks to Brian Keyo for alerting me to this release and providing the background. A single from this LP was also released, as seen here. Vocals and harmony are quite nice. 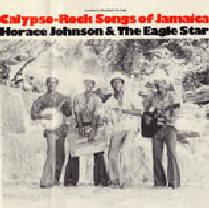 Eagle Star consists of Leroy Jones, Noel Dona and Enel Allen, though it is not stated who plays what instrument. 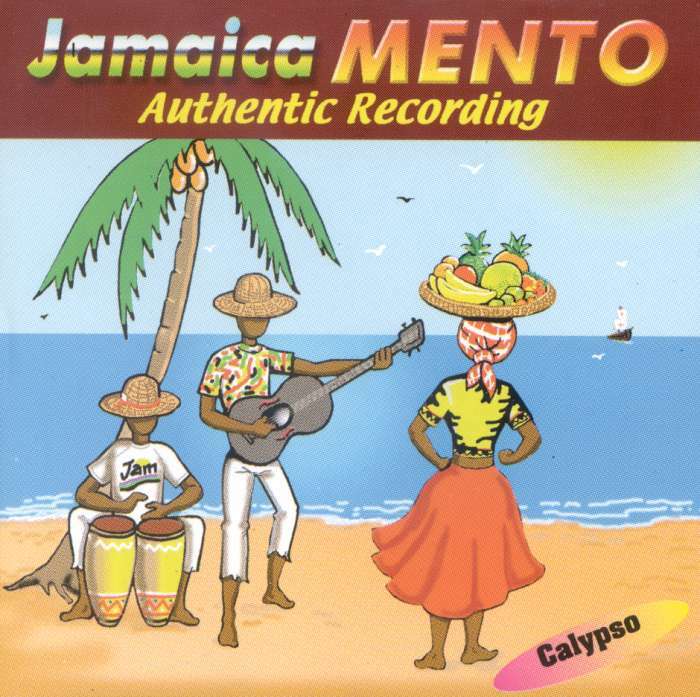 Song choices include some popular folk/mento numbers and a few from calypso. One unfamiliar track "January, February, March" is quite evocative, even though the lyrics are just a recitation of the months. It features a folksy sound that to my ears provides the missing link between rural mento and Simon and Garfunkel! Thanks to Robin Bleakley, of Louisville, Kentucky, for alerting me to this release. 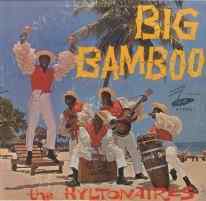 The Hiltonaires "Big Bamboo" LP has been released on CD. Amazon stocks it. 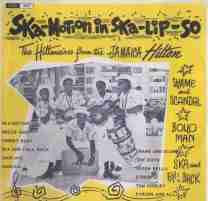 Their "Ska-Motion in Ska-Lip-So" LP was re-released on vinyl and can be purchased from ErnieB's Reggae, for example. For more on these releases be sure to visit The Hiltonaires page. 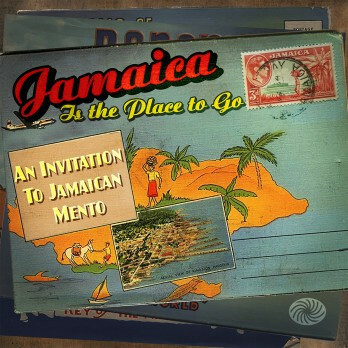 An updated version of the mento tourist song "Take Her To Jamaica [Where The Rum Comes From]" from his "Skalipso" LP, that falls between urban mento and ska. Kitchner is really a calypso, rather than mento act. 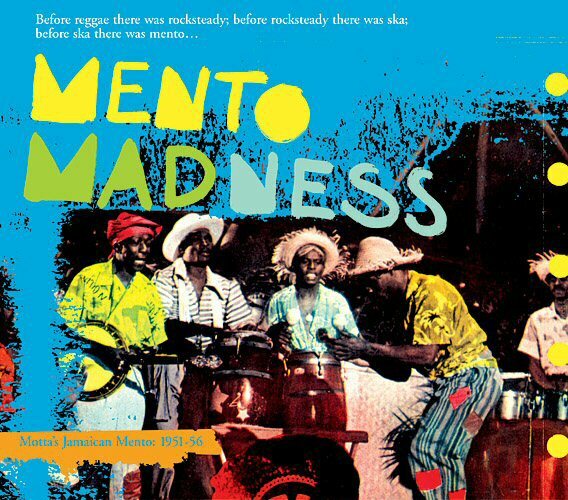 But this Jamaica-themed, Jamaica produced (by Leslie Kong) jazzy track blurs the already indistinct line between jazzy dance band mento and jazzy calypso. A somewhat urbanized rural mento, from an LP or perhaps a single that I am not familiar with. 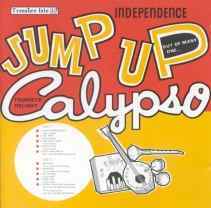 The same track as found on the "Trojan Calypso Box Set" and on "Jump Up Calypso", both seen below. And finally, a Lord Tanamo reggae track "My Sweet Jamaica", with something of a mento feel to the vocals. 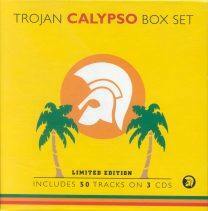 Keeping their promise, the 2002 release, "Trojan Calypso Box Set", does indeed include some mento tracks. These were singles that were recorded by Duke Reid and others between 1960 and 1970. This is polished urban mento with, at times, a calypso aspect to the sound. 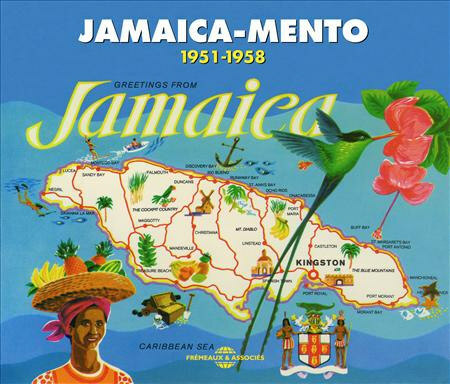 "Jamaica Farewell" by Jamaica Duke has banjo playing the mento rhythm and lead alto sax fulfilling the role that would have been clarinet or bamboo a decade earlier. Acoustic guitar, electric bass and hand drums complete reggae-influenced rural mento cover of the Harry Belafonte hit. An LP by this artist can be seen on the "More Middle Period Album Scans" page. The second mento related track on this release is "A Dash of the Sunshine" by Lord Tanamo. This track is discussed on the Lord Tanamo page. 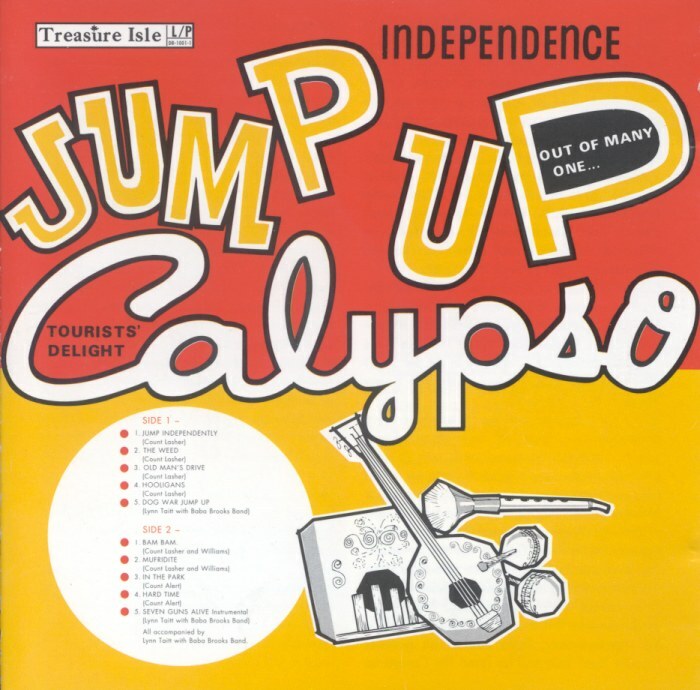 This 1966 Treasure Isle album, "Jump Up Calypso" was reissued on CD in 1998 on the Jet Set label. Mento in the same style as on the Trojan box above. Beware: there are a number of tracks repeated between the two. 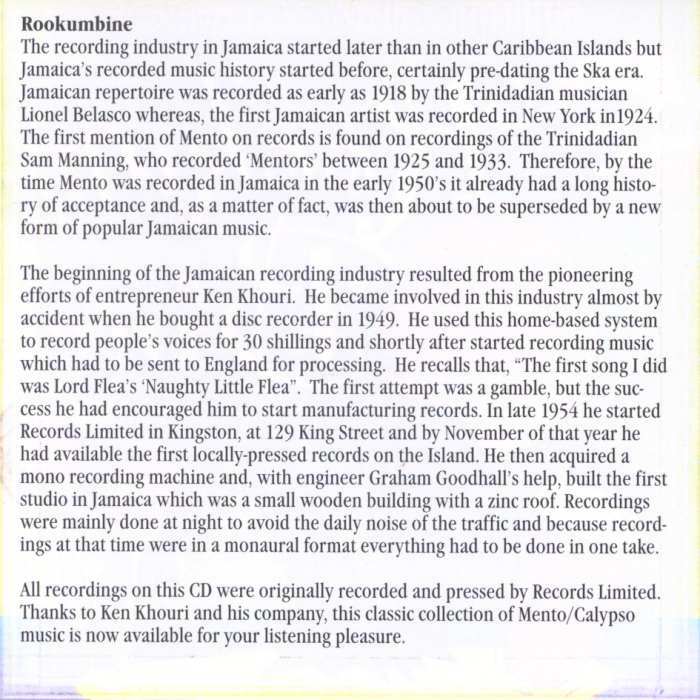 The liner notes indicate that mento was sometimes known as "jump up", (though its really more of a calypso term). 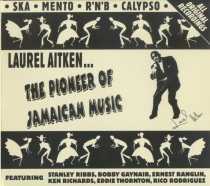 It was also at times called "Jamaican Rhumba". Is it any wonder that the word mento is so obscure? In addition to the mento tracks listed below, the CD is rounded out with 5 ska tracks. Thanks to Olivier Albot for pointing out that "Old Man's Drive" is mislabeled, and not by Count Lasher. Also, see above for the description of the collection "Dip and Fall Back" for more middle-period mento available on CD. 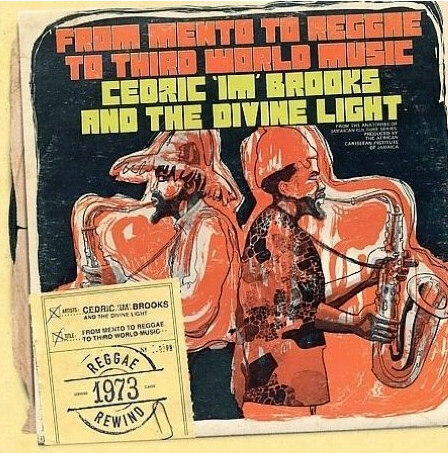 In early 2008, the rare 1973 LP, "From Mento To Reggae To Third World Music", by saxophonist Cedric "Im" Brooks saw its first release on CD. It includes some mento tracks. 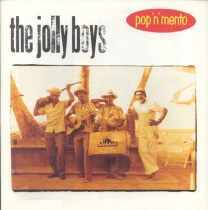 I enjoyed The Jolly Boys CDs for years before I had the opportunity to hear any other mento. 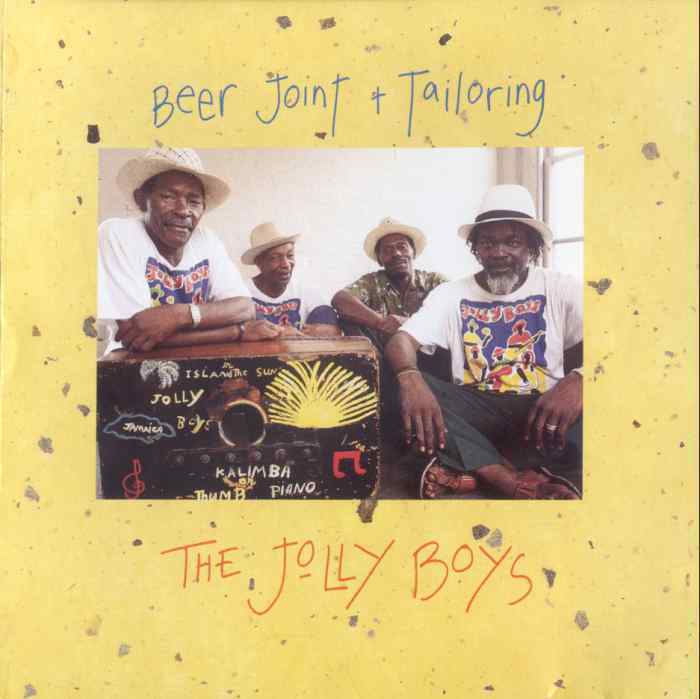 When I finally heard artists like Lord Lebby, I was struck by how true the Jolly Boys line up and sound was to the classic rural mento sound of 40 years earlier. Strictly banjo, acoustic guitar, rumba box, maracas, hand drum and vocals. The first three CDs listed below are out of print, but can be found fairly easily and inexpensively by pinging used-record stores, liquidators and eBay. The live CD is an in-print Japanese-only release, and can be purchased from sites that offer imported CDs (though the high cost of Japanese imports may give you pause). The 3 studio CDs are recommended as an excellent way to hear resurgent mento. The great majority of these songs are covers of old mentos, with only an occasional original or non-mento cover. As of 2011, these out-of-print CD are being made available as digital downloads from Funzalo Records. 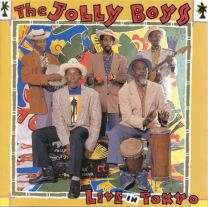 In 2011, The Jolly Boys returned with an new lineup, a new LP and more as seen here on this site's The Jolly Boys page. described on that page are recommended as an excellent way to hear resurgent mento and reggae-mento. 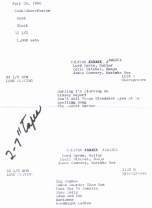 Thanks for Wallace Pryor of St. Louis, Missouri for providing the following information about a mento band called The Upbeaters, who appeared in two 1990s Hollywood movies. Though they did not appear on the soundtrack CDs, can be seen performing on the DVDs. 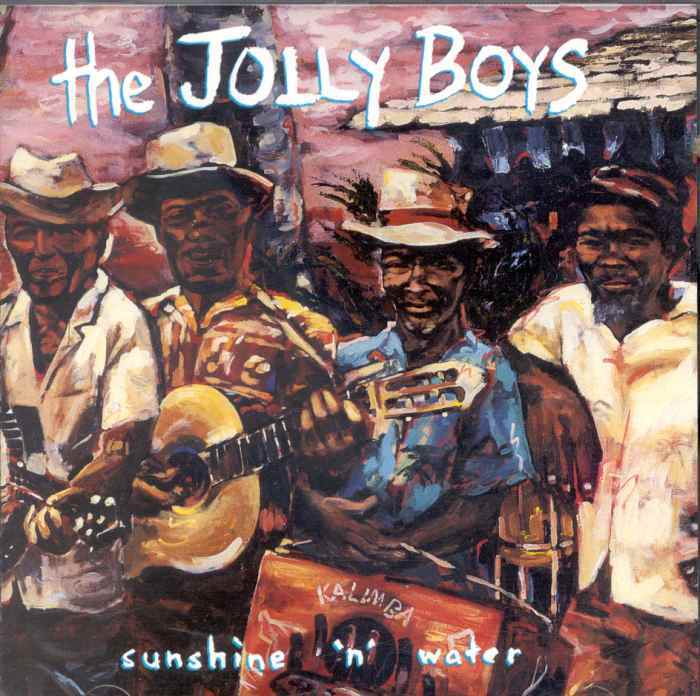 In "Prelude To A Kiss" (1992, with Meg Ryan and Alec Baldwin) this mento trio (banjo, guitar and rumba box) perform "Jamaica Farewell" by a hotel swimming pool. They also appear in "How Stella Got Her Groove Back" (1998, with Angela Bassett and Whoopi Goldberg), where they perform "By The Rivers Of Babylon" (originally done by The Melodians). Wallace was able to determine The Upbeaters are Simon Street, Harold Dawkins and Kenneth Buckford, though it is not known who plays what instrument. Also visit the "More Resurgence CD and Record Scans" page for other recently released mento CDs that can usually be easily purchased. is retailing mento reissues on colored-vinyl 45 RPM discs. 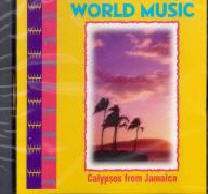 Several CDs on this page are available at www.reggaeCD.com.